Heavily influenced by Burt Bacharach and blessed with effortless, velvety smooth vocals, British singer/songwriter Rumer harks back to the early-'70s easy listening sounds of Karen Carpenter and Carole King. Born in 1979 to British parents living near Islamabad, Rumer was the youngest of seven children, and spent her early years living in an expat community. Encouraged to make their own entertainment, she began writing songs with her brothers and sisters, and after moving to the U.K, developed a huge passion for movie musicals and, in particular, Judy Garland. After a stint at art college, she formed the short-lived indie folk band La Honda in 2000, but after the band split, she was forced to take on several odd jobs that included fixing iPods, teaching, and selling advertising space. After her mother died of breast cancer in 2003, she moved to London to pursue her dreams of a solo career, she adopted a stage name inspired by her late mothers favourite author Rumer Godden, and began performing in various clubs. At an open-mike night, she caught the eye of TV music composer Steve Brown and the pair began work on her debut album. In 2010, she signed to Atlantic Records and was personally invited by Burt Bacharach to sing for him at his California home. Her first single, "Slow" became one of the most requested tracks on Radio 2, and reached number 16 in the U.K. charts. The full-length album Seasons of My Soul was released in November of that same year. In 2011, she was nominated for several Brit Awards, and won a Mojo Award for Best Breakthrough Act. In 2012, Rumer released her sophomore effort, the covers album Boys Don't Cry. Much like the '60s soft rock vibe of Seasons of My Soul, Boys Don't Cry featured Rumer's unique take on tunes by such artists as Isaac Hayes, Clifford T. Ward, Todd Rundgren, Townes Van Zandt, and others. In 2014, she returned with her third studio album, Into Colour, which featured production from Rob Shirakbari, a longtime associate of Dionne Warwick and Burt Bacharach. Following the release of the album, Rumer relocated to Shirakbari's home state of Arkansas, where the couple married in 2015. In 2016, Rumer returned with her fourth studio album, This Girl's in Love. Once again produced by Shirakbari, the album saw Rumer paying homage to Burt Bacharach and Hal David with re-workings of songs from their esteemed back catalog. 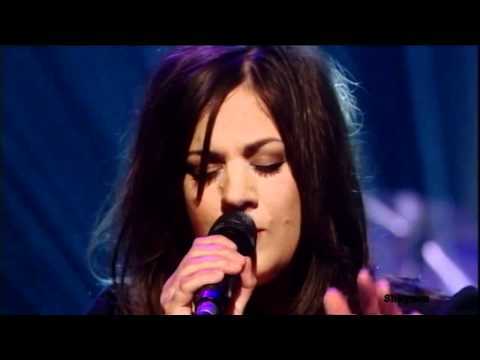 Tell us what you think of Rumer - Late Late Show Special below..